This is a little cheery and white to be Gothic Fashion, but it was avant-garde and I loved it. Russian Fashion Week took place earlier this month. 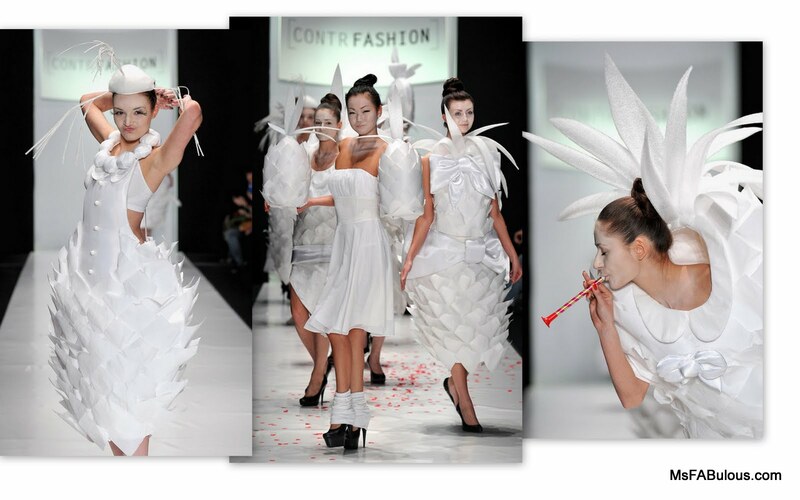 One of my favorite designers was Venera Kazarova as part of the ContrFashion show in Moscow. 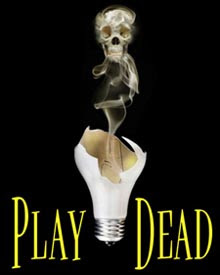 Play Dead - Spook Show Off-Broadway GIVEAWAY! Does a good night out for you involve being plunged in the dark and being surrounded by ghosts? Do you year for the old midnight spook shows of decades past? Are you a fan of the more twisted half of Penn & Teller (he created the show with performer Todd Robbins). The new off-Broadway show takes place in the West Village of NYC. 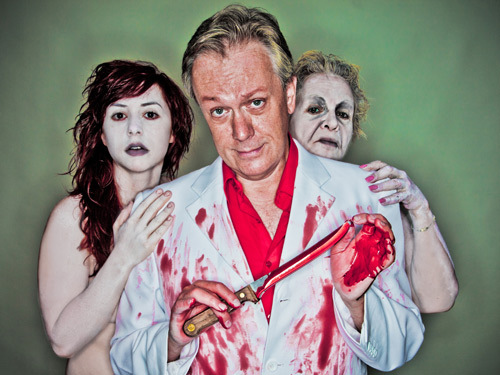 Reviewers are hailing it hilarious, scary, old-school and a lot of fun... I myself will be attending a show soon to give you a first-hand account of my own. Care to join me? I am giving away a pair of tickets to a lucky reader who comments after this post. Just tell me which ghost you would like to meet in person when you call Death out to play... (Dates are flexible and by reservation). *Offer valid through 5/1/11. Offer is subject to availability and may be revoked at any time. Blackout dates may apply. Normal service charges apply to online and phone orders. No exchanges or refunds. All sales are final. Cannot be combined with other offers. Not valid for prior purchases. Limit 8 tickets per order. Schedule subject to change. CONGRATULATIONS THEO! YOU ARE OUR WINNER. In business for only six years, the Mulleavy sisters of Rodarte have been one of the most lauded and respected fashion designers of the current generation. Honored by Michelle Obama with the Cooper Hewitt Award, celebrated by the fashion elite, the label is now being honored at the Museum of Contemporary Arts in Los Angeles. 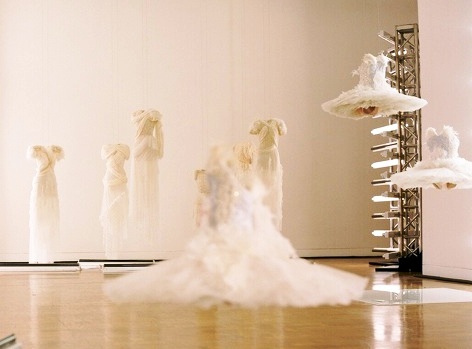 The exhibit, “Rodarte: States of Matter” shows several tutus from their highly publicized (and controversial) gig designer for the movie Black Swan. There are also garments from three seasons of their runway collections. 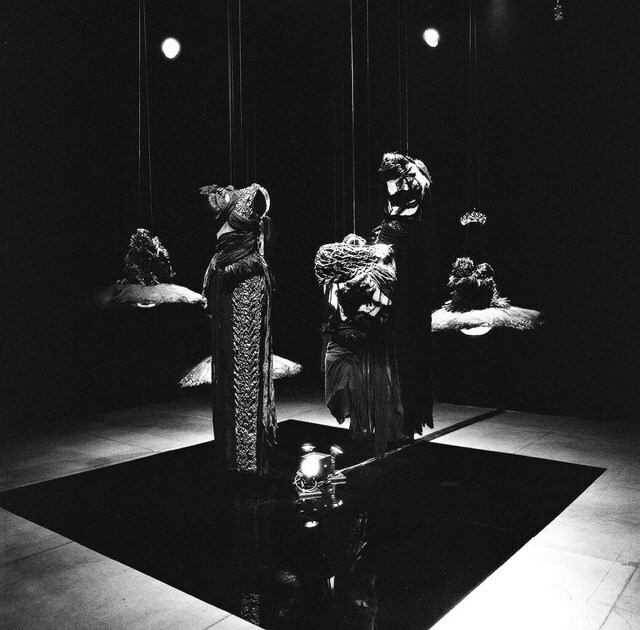 Longtime collaborator, Alexandre de Betak helped to create dramatic set pieces to display the collection. 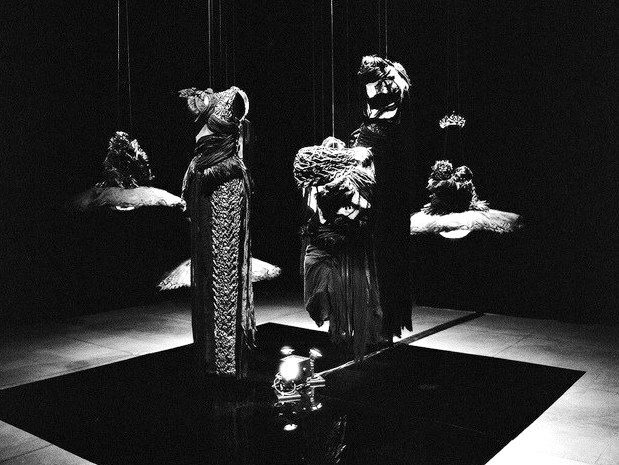 A very noir exhibit meant to display black garments as sculpture pieces, there are mannequins suspended from the ceiling and spun slowly on whirling motors. The theatrical “immersive” exhibit is what you would hope for from a duo who cites “Living Dead Dolls” and Japanese horror films as inspiration. The exhibit runs until June 5, 2011 at MOCA Pacific Design Center in Los Angeles. Photos by Autumn de Wilde. Courtesy of MOCA.